Attestation is one of the most vital aspects for the verification and authentication of any document. Solely it confirms the genuinety with a written or oral oath. 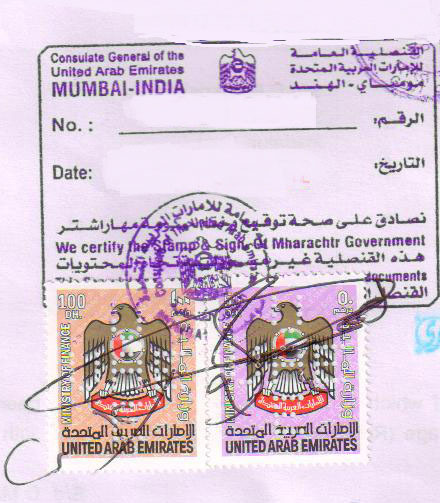 UAE attestation would be required in Educational certificates, Marriage Certificate, Birth certificate etc for alI who is willing to go to UAE. 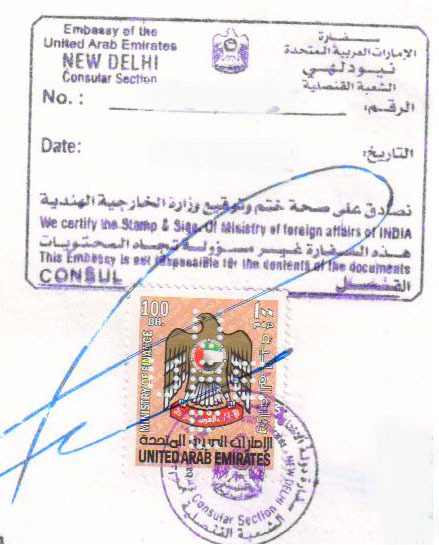 Applicants are even authorised to attest the certificates by their Embassy in New Delhi and Consulate in Mumbai provided the certificates were also attested first by the Consular Section of the Ministry of External Affairs, Government of India (Counter at Ground Floor, Patiala House, Tilak Marg, New Delhi). The applicants thus have to first attest their document at the concerned State Government, then to Ministry of External Affairs (govt India) UAE Embassy in India (New Delhi/Mumbai). Previously it was HRD (Delhi) that use to attest the certificates, but now the work is done by state home department. Attestation of 'Education Certificates' and 'Non educational certificates' is slightly different. In UAE one would need the attestation of documents to, obtain employment; pursue higher education, to get VISA for wife, right to sell property in India and more. We at Arabian Attestation & Travels will make UAE Attestation look simpler, faster and hassle free. So next time you are planning to visit UAE and wish to attest your documents, then contact us - the one stop destination for all types of UAE Attestation. The UAE attestation process undergoes in a choice of locations in India including, Chennai, Bangalore, Mumbai, Delhi, Hyderabad, Lucknow, Jaipur, Bhopal and Kerala. Just give us a call or drop us a mail and our team of professionals will help you out with the attestation service.